Trying on Microsoft’s $3,500 Hololens 2 at the sprawling Hannover Messe trade fair was a bit like stepping into the future. The device is easy enough to put on, going up and over the head, a ratched dial in the back provides a snug fit. After a short calibration sequence, it felt like I was gradually entering a parallel world. I could seemingly see the inside the wastewater blower that Microsoft partner PTC featured in its booth. One of them glowed red, indicating it was worn and needed replacement. The light headset then displayed a prompt asking if I wanted to change out the gear. In my field of vision, I could observe which parts needed to be removed to remove and replace the gear. The virtual parts glided one after the other from the machine, at which point I could reach down and remove the virtual gear. The Hololens 2 can capture hand movements to support gesture control, while also enabling voice commands. The Hololens 2, which made its debut to much fanfare at MWC in late February, is available later this year. And the long line of people waiting patiently at an industrial trade show serves makes it easy to imagine that augmented reality — or its more spatially advanced cousin, mixed reality — will become a part of the factory of the future. The potential applications of industrial AR are considerable — from enabling technicians to gain the ability to see information in context in the actual environment rather than on a fleet screen or sheet of paper. AR headsets are valuable for training as well, and can partially automate the creation of SOPs, standard-operating-procedure guides. 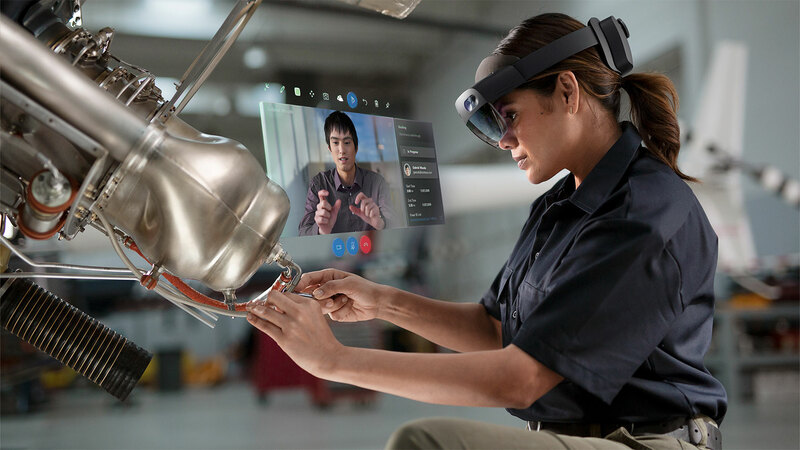 Proof-of-concept projects involving the Hololens 2, the Google Glass Enterprise Edition headset and other similar headsets have reported substantial improvements in production time and reductions in error rates in assembly operations or maintenance tasks.